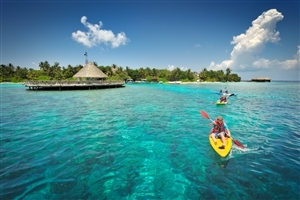 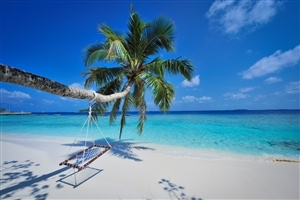 Get away from the rigours of modern life with an unforgettable Maldives holiday at Bandos Island Resort & Spa. 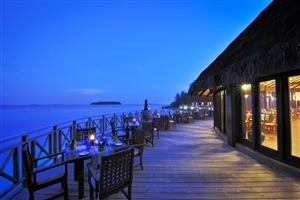 Tucked into the lush gardens of its own private island, Bandos Island Resort & Spa enjoys an idyllic setting overlooking the sparkling Indian Ocean, with views guests can admire from the lavishly-appointed Overwater Villas or from the Beachfront Villas. 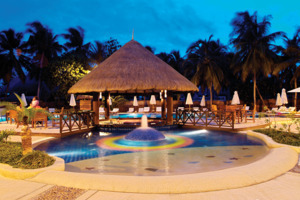 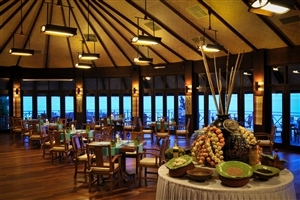 Bandos Island Resort & Spa complements its setting with excellent culinary options and impressive facilities, including the Anggerik Spa and the chance to go Scuba Diving amongst the spectacular coral reefs. 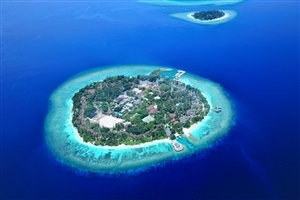 Bask in the majesty of your surroundings when you stay at Bandos Island Resort & Spa, a private island resort where luxury and beauty are enjoyed in abundance. 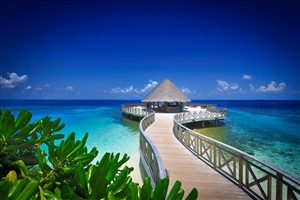 Find peace on the golden sand beach that fringes the island, glance across the sparkling Indian Ocean and get blissfully lost amidst the verdant tropical foliage that occupies this magnificent Maldives location. 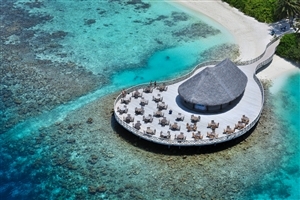 Stay in complete luxury with a choice of exceptional accommodation, including sumptuous water villas, and have your taste-buds tingled by the tempting array of cuisine available. 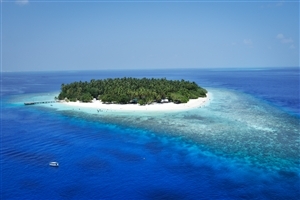 With its sumptuous spa and terrific opportunities to explore the depths below through scuba diving, staying at Bandos Island Resort & Spa will allow you to fulfil your every Maldives holiday desires. 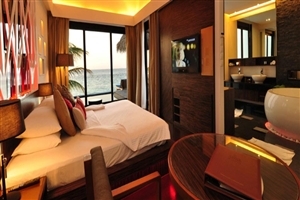 The Standard rooms at Bandos Island Resort & Spa offer 38sqm of accommodation space and are designed to high standards of quality and comfort. 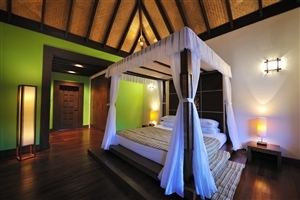 The Deluxe rooms at Bandos Island Resort & Spa offer 54sqmm of accommodation space, feature separate living and sleeping areas and overlook the beach. 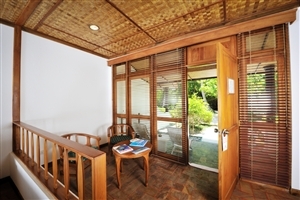 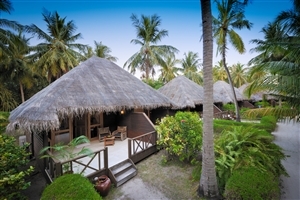 The Garden Villas at Bandos Island Resort & Spa offer 38sqm of accommodation space and are designed to mimic a wood chalet. 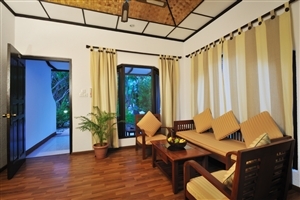 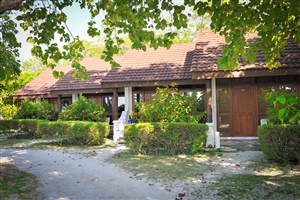 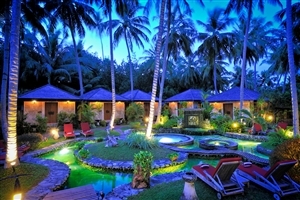 The Garden Villas are tucked into the flower gardens for a relaxing ambience. 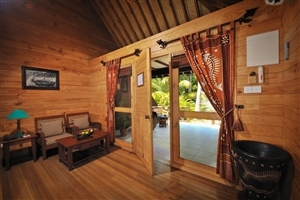 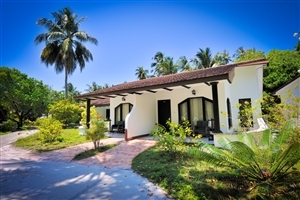 The Jacuzzi Beach Villas at Bandos Island Resort & Spa are standalone duplex villas offering 58sqm of accommodation space and featuring wood furnishings, a separate living room and a Jacuzzi on the ground floor. 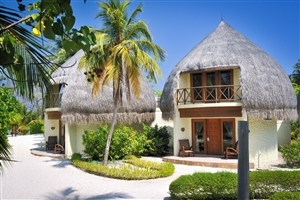 The Jacuzzi Pool Villa at Bandos Island Resort & Spa is located at the edge of the island for unobstructed vistas across the Indian Ocean. 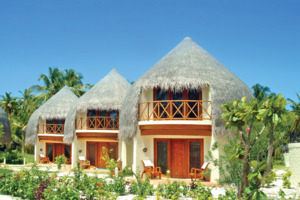 Admire the views from your private infinity-style swimming pool and Jacuzzi. 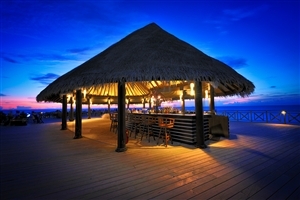 The Water Villas at Bandos Island Resort & Spa are situated over water for a blissfully unique hospitality experience. 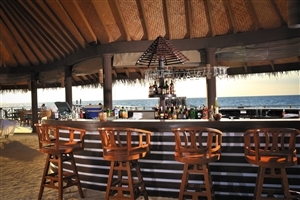 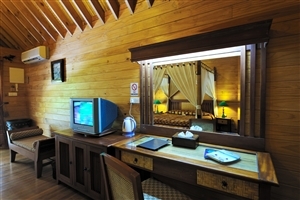 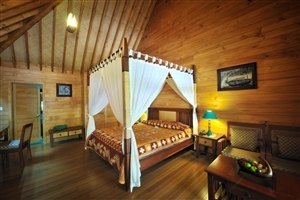 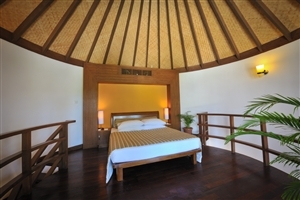 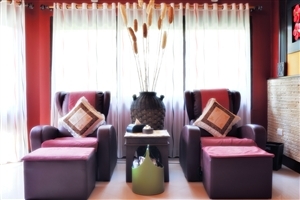 The Water Villas offer 117sqm of accommodation space and include a four-poster king-size bed and a Jacuzzi. 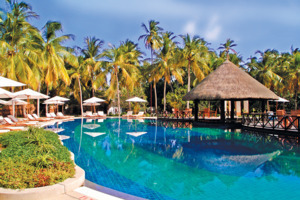 Be treated to a fine array of available activities at Bandos Island Resort & Spa, such as scuba diving, tennis and the Anggerik Spa, or allow us to help you plan trips to nearby destinations.